Crazy Flasher 3 is a game which you will find so entertaining that you will surely start looking for a way to keep it on your computer. If you want to play fighting games that are similar to this one you can find more of them on this site. You can choose from tens of 2 player fighting games and each and every one of them will satisfy your desires! 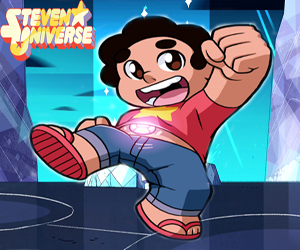 These interesting games are very good if you want to play fighting games for your time to pass more quickly because these are very entertaining games! For example, Crazy Flasher 3 is a multiplayer game in the sense that you will play against more enemies at once. Using the arrow keys from your keyboard to move the character you can prove yourself in being the best at this sport. Also, when you play fighting games like Crazy Flasher you have the choice to use some special fighting moves by using the ‘’B’’, ‘’N’’, ‘’M’’ and space bar. You will see that these games will pump up your veins with the needed dose of adrenalin! 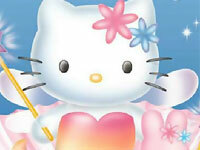 Bring these Hello Kitty beautiful pictures by clicking on the right pieces together. Hummer car is cool, if have one modified Hummer , how cool is that, try to clear anything in the road for pedestrian troop. 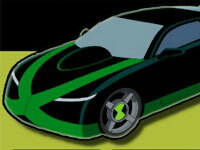 Ben10 is driving his car, Help Ben10 to finish all the levels by reaching the finish board and complete all 10 levels. The Joll's kids have run off. Help collect them in this puzzle game with 31 levels and 9 achievements. Oh,my duck!Phants are going to crash into earth.My ducks are getting in trouble.Please help ducks get out of it or they will die!